The Vancouver Island Motorsport Circuit was made aware in the summer of 2016 that some of the neighbouring property owners and tenants had complained about the noise coming from vehicles driving on the Circuit. The operating GAIN Dealer Group took these complaints very seriously and contacted Wakefield Acoustics (an RWDI Company), North America’s largest noise measuring specialist, to perform a noise study for the operations of the Circuit. They conducted the sound study with the following device; Soundtrack LXT 1 by Larson Davis a PCB Piezotronics Div. This study was completed on October 13th, 2016 and a complete report was shared with the community of North Cowichan. While this report shows that the circuit is operating well below the limits set in place for this zoning area, neighbouring CVRD noise bylaws and the ones set for similar properties all across north America, a task force was implemented to assure the noise level from the circuit will always stay below the legally allowable levels. A noise policy was designed and implemented in November 2016 and this policy will govern all operations at the facility. All vehicles operated at the Vancouver Island Motorsport Circuit have to stay with in the widely acceptable 101 DBA noise level. Any vehicle that exceeds the limit is black flagged (taken off the track) and given a chance to make modifications or repairs to be compliable with the noise policy. A second violation will result in removal of vehicle for the remainder of the day. The noise level of every vehicle operated at the circuit are measured with a fixed microphone, 50 feet from the start/ finish straight. This location was chosen by an independent noise consultant to best capture the highest sound levels created from the various types of events held at Circuit. 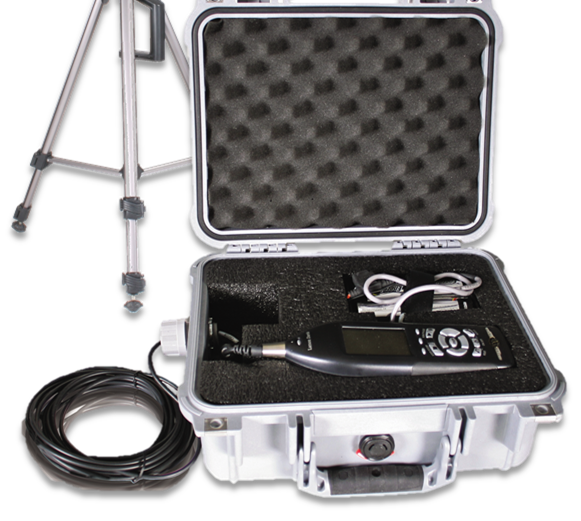 The microphone is attached to a digital sound monitor and the data is then captured on a computer. All the noise files are held and given to Circuit Management to send to officials if needed. The Vancouver Island Motorsport Team will submit compliance data to the Council upon request. 77 DBA- Passenger car at 65 mph at 25 ft; freeway at 50 ft from pavement edge 10 a.m.
50 DBA- Quiet suburbs, conversation at home. Large electrical transformers at 100 feet. The reason the track day operation was in fact less loud as the non-track activity days was simply the fact that other normal noises in the neighbourhood had created the sound. Fly over traffic to the nearby Victoria International Airport, propeller planes and woodworking in one of the houses on Sathlam Road were identified in the noise study. It goes without saying that the Vancouver Island Motorsport Circuit, as a business within the GAIN Dealer Group on Vancouver Island, respects and adheres to all Laws, Bylaws and community Policies. The voluntarily created noise Policy of the Circuit will be monitored and enforced every day of operations.